Maximilian is an open source, MIT licensed C++ audio synthesis library. It’s designed to be cross platform and simple to use. The syntax and program structure are based on the popular ‘Processing’ environment. Maximilian provides standard waveforms, envelopes, sample playback, resonant filters, and delay lines. In addition, equal power stereo, quadraphonic and 8-channel ambisonic support is included. There’s also Granular synthesisers with Timestretching, FFTs and some Music Information Retrieval stuff. Maximilian is featured in Joshua Noble’s Programming Interactivity, published by O’Reilly Media. It’s also used in lots of professional audio tools and apps, including sonic lab’s Cosmosf. 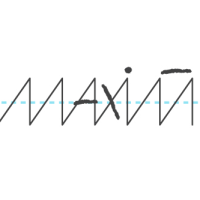 It works really well with openFrameworks – There’s an addon for openFrameworks based on Maximilian, called ofxMaxim. All you need to do is place ofxMaxim in your openFrameworks addon folder. There are quite a few examples available. You can use Maximilian on the command line too : check out some tutorials here.